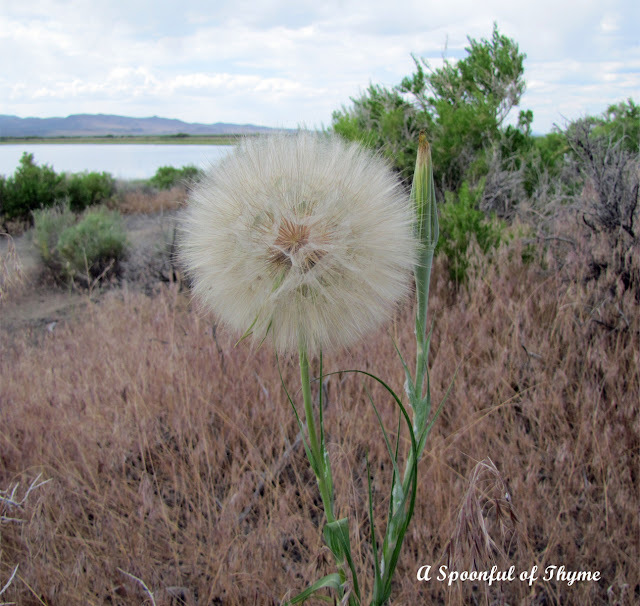 I was intrigued by the giant dandelion that we found near Hart Mountain in eastern Oregon. With a little research I found that this is not really a giant dandelion but salsify. I found some information in Teton Valley Magazine. This is a plant with a root that can be eaten. 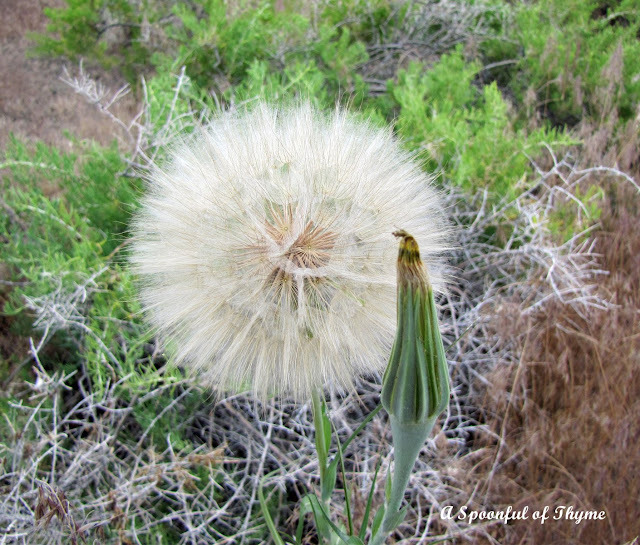 Salsify looks like a giant dandelion, and in a similar fashion the bright yellow flower turns into a dainty puffball, dispersing hundreds of seeds into the wind. Eaten raw, the roots are very bitter; fried, roasted, or boiled, the taste of salsify roots have been compared to that of parsnips. Others say they slide down like oysters, hence its common moniker, oyster plant. 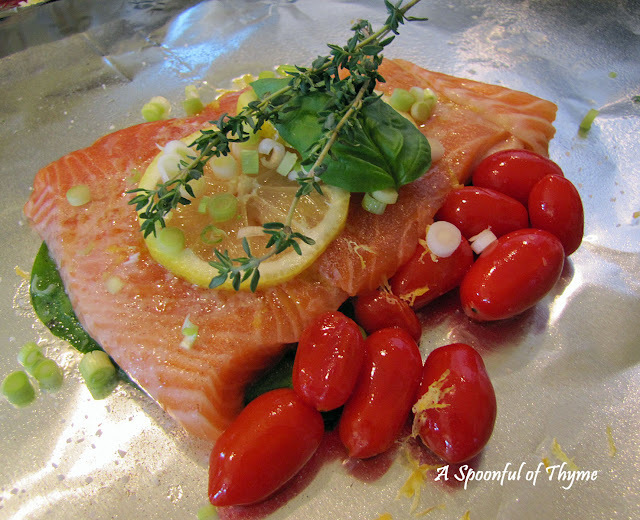 Cream the roots in a soup or simmer young stalks in butter for a side dish rich in Vitamin B6. I think I might pass on eating salsify...oysters do not appeal to me. It sounds slimey and the turnip taste is not enough to motivate me to step forward and try it! I would rather blow and watch the tiny seeds fly in the wind! 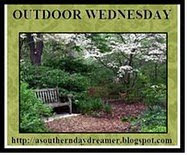 Today is Outdoor Wednesday. It is cooling down and time to play! Visit Susan at A Southern Daydreamer to see what is happening! Beautiful photo of what some might call a weed and some call food! Salsify grows here in the Willamette Valley, too, I did not know it was edible. There is lots of beauty in that area. We used to blow on these flowers just for fun. I have seen a plant like that. Never knew what it was. Thx. Wowza! I have never seen such a large dandelion plant. I remember having salsify in a French Bistro years ago and have only seen it in cans since. It's plant is really cool. That's an amazing plant. And the photo captures it so beautifully. Nice job. Stopping by from Susan's Outdoor Wednesday. Kate, I wouldn't have recognized a salify plant either. Your photos are marvelous and thanks for all of the info on unusual plant/food. I'm not sure I want to try it either. Wow! Who would of thought you could eat the root-i think just staring at the flower would be satisfying. I use dandelions in certain dishes and beverages but I am not sure I want to try Salsify because of the slime description! That just does not sound to appealing. Great pictures! I just recently found out that there is only one type of Dandelion. I always thought there were two: the yellow ones and the white ones. Haha. Good heavens! I've never seen a dandelion that size! The kids had a science teacher once who taught them how to make cattail pancakes. I wonder what she would have made with this? I think the French ate salsifis a lot. I never tried it but if it is slimy, I will pass. Found this when searching - I personally love the salsify, especially in like a cheesy casserole kind of dish. Picked one this morning thinking I had found a giant dandelion. Was going to make jewelry with it. Dandelions are suppose to be good luck not sure if salsify is or not. Lol well it will be a good subject for pictures. Catch a Falling Star and Oven-Fried Chicken!